With a strong background in international business and an upbringing that's spanned continents, Thiago Belmont deftly navigates the ultra-competitive New York City real estate market, delivering results for his valued clientele with determination, knowledge and hard work. "This market moves fast, very fast," he says. "With that in mind, I'm always focused on delivering high-end service and flexibility that accommodates my clients' busy schedules." Especially skilled at assessing New York City’s ownership and investment opportunities — for condos, co-ops and townhomes — Thiago specializes in ensuring clients are thoroughly educated in the process of purchasing, investing and ultimately securing profits down the road. Raised in Sao Paulo, Brazil, Thiago emigrated to Miami at the age of 12 and went on to receive a B.S. in international business. Thiago is passionate about travel, and he speaks English, Portuguese and Spanish fluently. 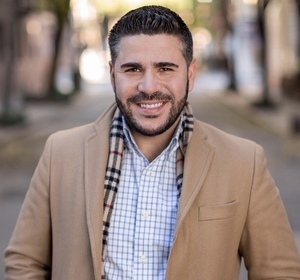 Thiago is a proud member of The Hoffman Team which was ranked #1 by transaction volume for 2012, 2013, 2014, 2015 & 2016 and was recognized by Wall Street Journal as a top-ranked team nationwide.